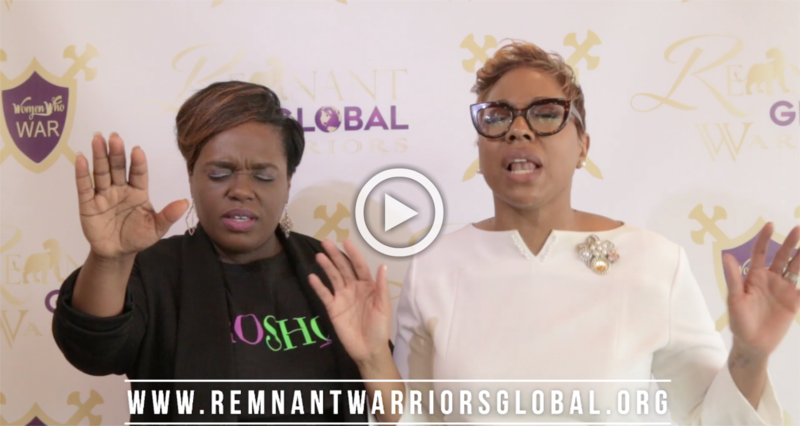 Warriors Arise Conference | Remnant Warriors Global, Inc.
From the moment she walked in the door, she felt the presence of God all around. Every footstep was leading her deeper into the presence of God - moving her into her proper position. Throughout her experience, this Warrior is steadily equipping for battle. The lesson on how to effectively War in the Spirit and how to use prayer as tools of mass destruction against the enemy empowered this woman to keep pressing forward. As she moved into the auditorium and gathered with even more Warriors, the flow of worship sent praises higher and higher as a sound of victory released into the atmosphere through song and dance. The reminder that if she would only speak the name of Jesus, healing, peace, love, joy…everything she could ever need would flow back to her. It was there received a divine word on Friday evening, from Dr. Kellie E. Lane, and on Saturday morning from Minister Mona Cunningham and from Minister Adrienne Young, Chief Visionary Warrior of Remnant Warriors Global, Inc. Minister Young taught her that she must not fear her enemy but face them head on and be able to attack and destroy them just as Jael did Sisera. “You have to die today!” was the chant heard across the auditorium as she, along with other Warriors, released into the atmosphere that everything trying to come against her would not succeed. Why? Because on January 26th-27th, 2018, this woman joined with hundreds of others and declared that they have won, they are fighting from a position of victory, and our enemy will die! They put too many arrows in the ground to give up. They put in too much work and spent countless hours in prayer. She has moved from the field to the frontline and, with a loud voice, she cried “Warriors Arise!” This…this is only the beginning.